New businesses or even companies that have been around for a while can struggle to get clients. The competition can be fierce, and simply finding the right way to get to potential clients can be challenging. Don’t over-reach – it can be tempting to utilize a spam service that will blast emails and posts in numerous places online. Avoid this temptation because it can quickly label your company as a spammer and damage your reputation. 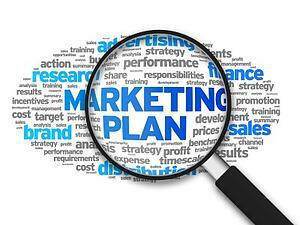 Do stay focused – review your target audience profile as it is a foundational part of your marketing plan. Make sure you have the right type of audience defined and keep your focus in that area. Don’t economize – when a business is struggling, the first response in many cases is to go with the cheapest solution and expect big results. Unfortunately the cheapest option is not always the best. You can be left spending a little here and there with no real results to show for the expenses. Plus, your valuable time is being used with very little return. Do pick a partner – find a marketing partner who is willing to work with your company to get clients. Look for a firm that aligns with your goals and respects the need to stay within a managed budget. Don’t be afraid – with online marketing, risk is part of the process. Take a chance on using new techniques and technologies such as SEO, PPC, or Ebooks and measure the results. If one technique does not work, it is easy to take it offline and try something different. Do set goals and monitor – always set realistic goals with your initiatives to get clients. Look at your current lead generation and note the numbers, and then set up a plan to increase those leads and the sales conversions with routine monitoring of the progress. Hold your marketing partner and yourself accountable for the progress. The path to get clients can be a treacherous one, but with the right partner you can achieve your goals for business growth. For more information, please call us directly or click the button below and we will contact you. Thank you.